The Life Of Pablo continues to garner attention for Kanye West, though he could probably go without this latest bit of news. 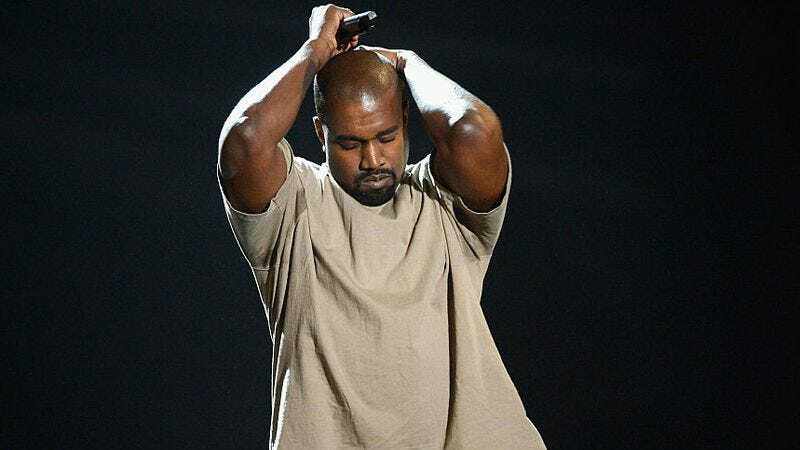 West, who recently set a Billboard record with TLOP’s streaming sales, is now facing a possible class action lawsuit over his now-refuted claims of the album’s exclusivity to Tidal. You might recall that West made much of his own decision to pull the album from his website to feature it exclusively on Tidal, the music-streaming subscription service founded by his Watch The Throne collaborator Jay Z. West announced the move via a couple of his reliably terse tweets, adding a plea to his friends, fans, and “music lovers” to sign up for the service. Now Variety reports that the people who did heed West’s call to Tidal-subscription-action are upset that said exclusivity proved just as ephemeral as the album’s previous titles (R.I.P. Swish). And the lead plaintiff, Justin Baker-Rhett, is proposing a class action lawsuit over this “fraudulent” claim. The lawsuit further claims that Tidal might have nabbed two million new subscribers thanks to The Life Of Pablo, which received 250 million streams in its first 10 days on the service. The monetary damages sought are for reimbursement of Tidal subscription fees the plaintiffs paid in order to access the album. But the suit is also looking to push back against an aspect of the subscription business known as the “negative option” or “negative option billing,” the practice of requiring consumers to actively opt out of a service to prevent being billed for it. (Does Columbia House ring a bell?) At the time of this writing, neither West nor anyone from Tidal had commented on the suit.